What did the armadillo say to the turtle? 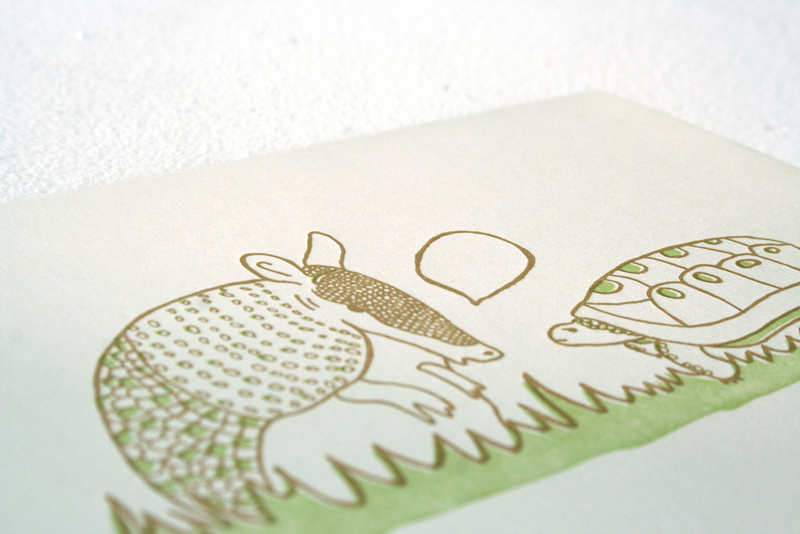 This illustration is based on a idiom that says the armadillo calling the turtle "shelly." Meaning don't call someone something you are. Unicorn magical card, not much to explain here. 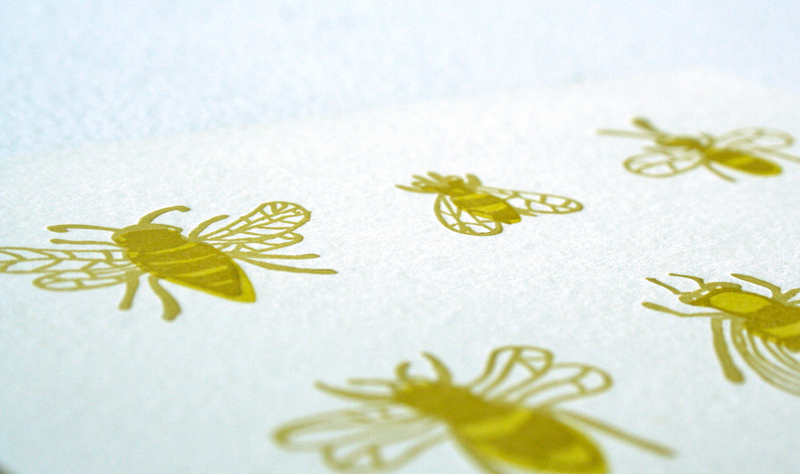 Commemorating all of that bees do for the earth. Alma Llanera is a very popular Venezuelan song. The artwork is inspired by the lyrics. All letterpress pieces, printed in Vandercook presses.